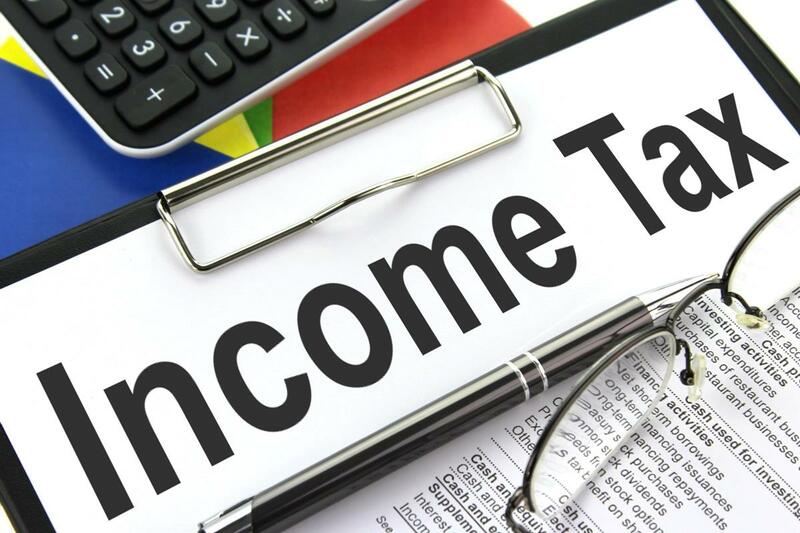 Many people are looking forward to 1 July each year as this is the date SARS usually open their systems for individuals to file their personal income tax return. Have you even wondered if your personal income tax return could have yielded a higher return? In my experience, many people are not always aware of all the deductions they are entitled to for. This is especially so if one is not too familiar with the e-filing system. Here are a few checks that could be performed to ensure the best outcome of your tax return. A person diagnosed with a disability may also claim full medical aid contributions as well as 100% of medical bills unpaid by the medical aid. A doctor is required to complete a certain form which must be kept on file. There is a definition to disability but people who have lost limbs or who suffer from a mental disorder (such as depression) are defined as disabled. The requirement is that the day to day activities of an individual must be severely limited or hampered in order to claim this benefit. A deaf or blind person will hence qualify. The income tax act allows any person whose spouse or dependents meet these requirements to quality for this tax benefit. Make sure the above is well documented. A tax practitioner should keep all evidence of this nature on file and should be in a position to quickly supply this information upon SARS request. In my experience working with many different individuals, once a return is accepted by SARS, the documents are placed somewhere and cannot be found. At FMJ Financial Services, we keep an electronic document for each item entered on a tax return for a minimum of 5 years. If ever requested, we have them on file and can send them to SARS quickly. This is what should be expected by all tax practitioners. If a tax payer has a retirement annuity (not to be confused with a provident or pension fund) make sure that this section of the form is also completed in order to obtain your benefit for contributing to a retirement annuity fund. If you do not have a retirement annuity and also do not have a pension fund, consider getting a retirement annuity for the tax benefit. Speak to your tax practitioner and plan your financial situation in order to maximize your personal income tax return. If a taxpayer has code 3701 on their IPR5, make sure to keep a logbook. SARS has changed the way this works as of 1 March 2010. (Beginning of the 2011 tax year) The rule is: no logbook, no claim. Make sure the logbook is to SARS satisfaction. If you are not sure, ask a tax consultant to assist before a tax period starts. This is a section that no taxpayer wants to be penalized on. In the past SARS allowed up to 14000km to be deemed as business travel in the absence of a logbook (where opening and closing km were kept) when at least 32 000 km were travelled in a tax year. The first 18 000km were however deemed private use by SARS and only the next 14 000km were deemed as business. Any km after 32 000 were again deemed as private travel. Make sure the value of the car claimed on is correctly captured on the income tax return. SARS determines the allowable rate per km and is based on the value of the vehicle. Here again speak to your tax practitioner before filing an income tax return. A practitioner should guide a taxpayer on their salary structure. Too high travel allowance might mean a lower refund from SARS or even a situation where a taxpayer expects a refund but has to pay in on their return. A too low travel allowance means that a taxpayer uses their own vehicle for business purposes and their travel claim will be limited to the travel allowance received under code 3701 and 3702. A tax practitioner should also guide a taxpayer when a new vehicle is purchased to ensure the travel allowance is pitched at the best possible amount to maximize your tax return. Whenever I see code 3702 on a personal income tax return, I always want to run away. I have never understood why no one taxes this allowance. This allowance is almost never taxed by an employer and the employer does not have to tax this allowance under this code. This usually leads to a taxpayer having to pay in once they submitted their income tax return. The theory here is that a taxpayer completes a form (designed by his/her employer) for any business travel and hands this to his/her employer. The employer then pays a certain rate per km however; this is not to say SARS will allow the same rate paid per km. The employer may assume the employee will claim the full allowance when filing their tax return. When an employer pays say R3 per km and SARS (based on the value of your car and the total km travelled in a year) allows say R1.8 per km and the employee travelled 20 000km, SARS will tax the difference between R3 and R1.8 which is R1.2 X 20 000 = R24 000 as income. Say your marginal tax rate is 30%, this means that the taxpayer will have to pay in R24 000 X 30% = R7200. If possible, discuss with your company to change this to a fixed travel allowance of a certain amount where no reporting to the company is required. Alternatively, be aware of the situation and make provision for this when filing your income tax return. Or consider a retirement annuity to bring about a balance. Again, discuss this with your tax consultant as each case is unique and should be dealt with on its own merits. This one is straight forward, keep a logbook and consult with your tax practitioner as this tends to change from time to time. A tax practitioner might point out if the car is mostly used for private purposes, it might be better to not have a company car. A certain amount is included in a taxpayer’s gross income for the private use of a company car. This also has VAT implications for the company who owns the car. From experience, this is a word misunderstood by many. Some believe donating money or assets to a family member is deductible while actually, it could attract donation tax when the gift or donation is large enough. Only donations to certain public benefit organizations are allowed. In order to qualify for this deduction, a certificate is required and this certificate will usually state that the donation is deductible against your income. If a taxpayer is not sure, ask your tax practitioner as they deal with this all the time and will quickly advise on whether the deduction is in line with the income tax act.